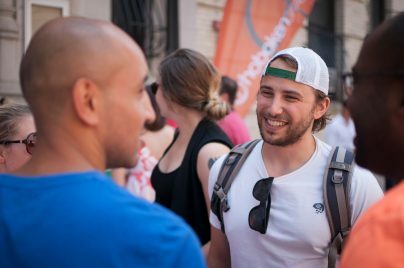 For the past nine years, Hoboken Grace has hosted an Easter egg hunt that grows larger and larger each spring. 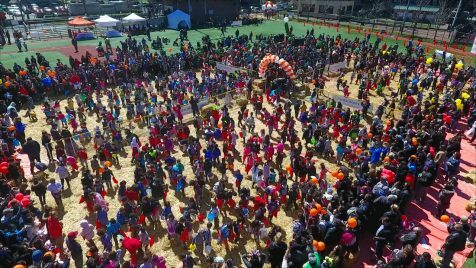 This April, we will have 36,000 Easter eggs and over 6,000 participants, making it the largest Easter egg hunt in Hudson County. This gives you an incredible opportunity to be part of significantly loving your neighbors! We want to give you a sneak peek and let you know how you play a vital role in that opportunity. Yuli is a self-proclaimed introvert who doesn't consider herself tech-savvy. In fact, she's rather clumsy and had barely touched a Mac before last year. So when someone in her dinner group suggested joining the Production Team, she had no intention of following through. 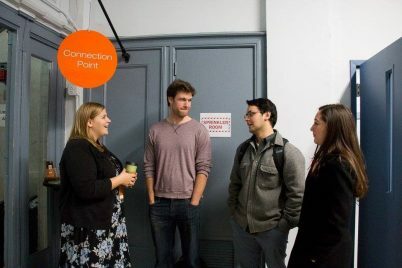 There are nearly a dozen early birds who serve at Connection Points on Sunday mornings, greeting and guiding those who are new to Hoboken Grace. 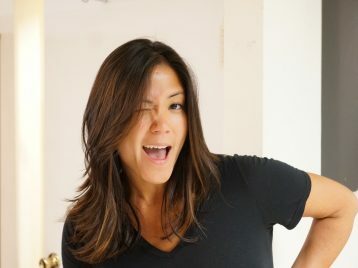 One of those enthusiastic members of the Assimilation Team is Jean, who has served on the team for the past several years. 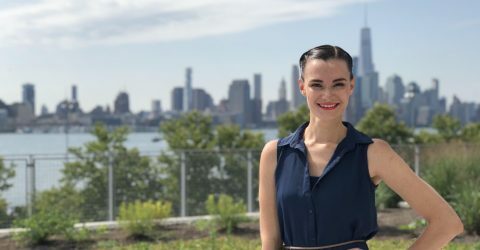 The Writing Team recently spoke with her about the purpose of Connection Points and how those who serve on the team help people get connected. Production Is Where I Learned…A Lot. Andrew started playing drums more than a decade ago, synchronizing the music he created with that of his favorite bands. 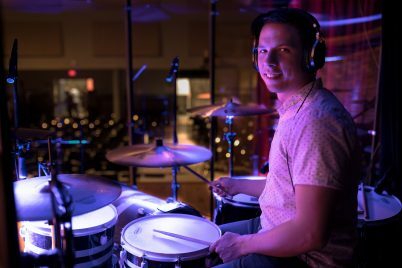 More recently, he made his debut on drums alongside Hoboken Grace's worship band, synchronizing his long-held hobby with an opportunity to serve. The Writing Team spoke with him this week about how he started serving on the team and what the experience has been like so far. 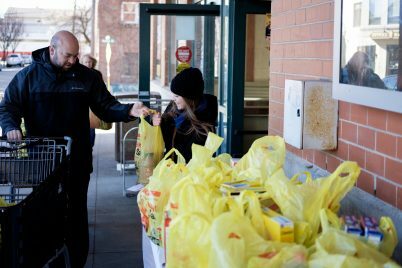 Once a month, a Hoboken Grace table is set up outside of ACME supermarket on 7th and Clinton streets, inviting shoppers to drop off purchases for the Hoboken Shelter as they head out to their cars. On the way in, shoppers are offered a postcard listing “Most Needed Items” – things you’d expect such as cereal, tuna fish and marinara sauce. There are also more unusual things, like postage stamps and socks. 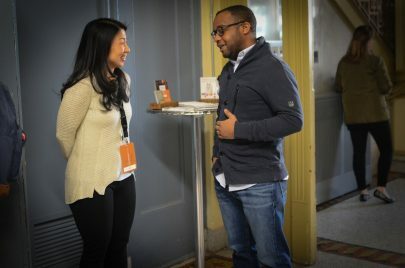 "I found my faith here; I found my real life and self here, and I wanted to be able to pass that same gift and assurance on to someone else who may be taking those first tentative steps on the same journey," Jarid says of why he joined Connection Points. For years, Anthony has been a familiar, welcoming face on Sunday mornings. 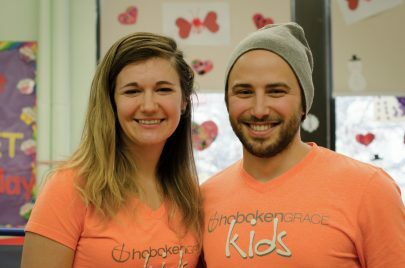 As part of the staff at Hoboken Grace since 2014, he has served as Outreach Director and is often on stage leading announcements or presenting the message with his unmistakable blend of energy, humor and humanity. 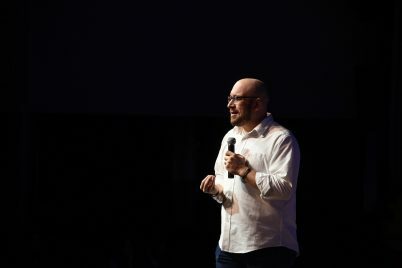 Now he is turning his talents toward launching a new ministry at Hoboken Grace as he takes on the role of Care Pastor.